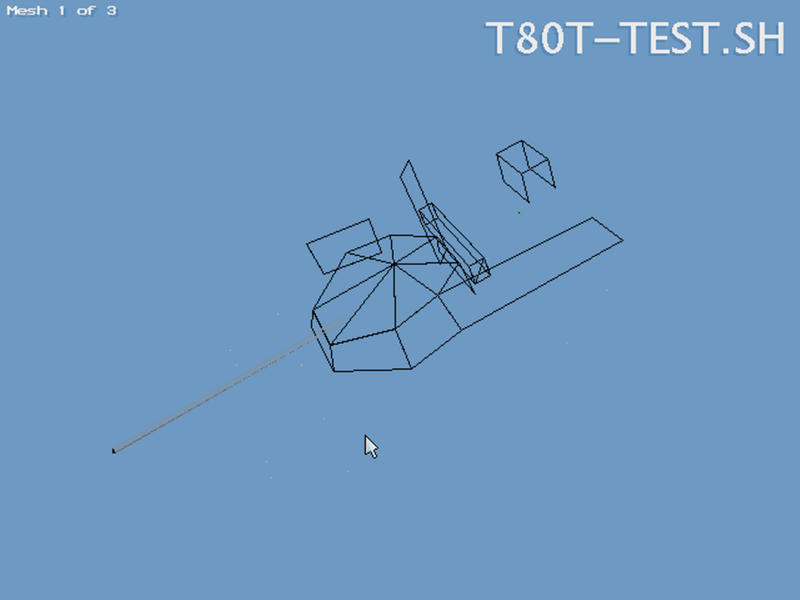 I took a screenshot of the building process of the new T-80 MBT, that of building the turret in particular. This is level of detail (LOD) model 1. That being the closest viewed and highest detailed LOD of the shape. The shape color editor refers to this as MESH 1 of 3. From the shot you can see that I am building the sides of the turret. What I had to do was delete the current polygons on the FA default T-80 shape as well as the remainder of the tank chassis. All that I left of the chassis was the two rear extra fuel tanks that the T-80 carries on the rear of its fenders.